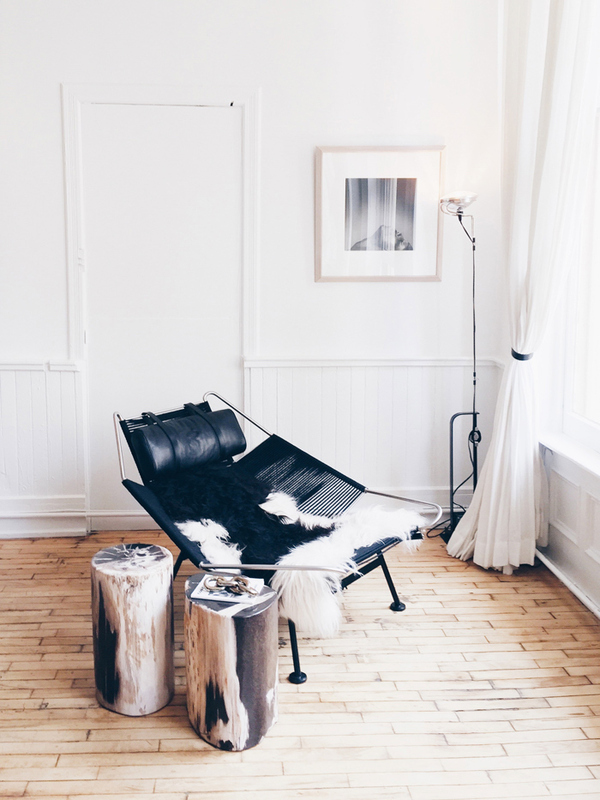 my scandinavian home: My dream boudoir! Baths in the bedroom. Some people love them, some people loathe them. Which camp are you in? 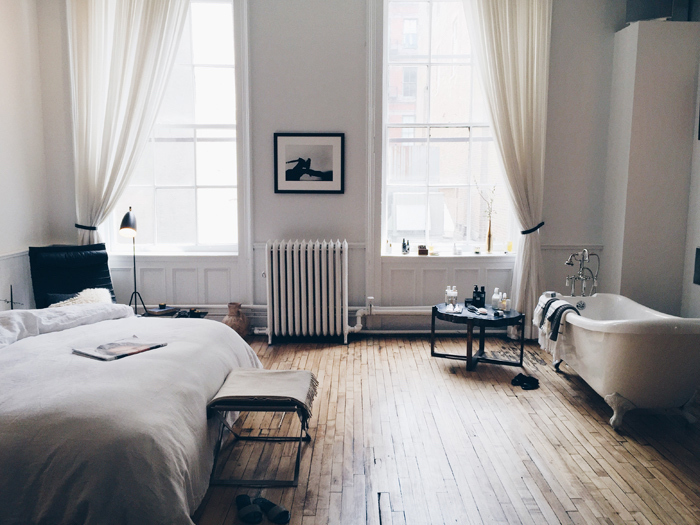 If you fall into the latter camp, perhaps this lovely bedroom in The Apartment by The Line in New York will change your mind? Captured by Katarina Matsson, this beautiful boudoir has me dreaming of transforming my bedroom and hanging out there all weekend pampering myself, and reading books and magazines (I'd just need to do away with my office space to make room for the bath - but hey, who needs work?!). Could you imagine hanging out here?! Oh so wonderful! Could you imagine?! You can see a full tour of The Apartment here - and if you're in New York, it's a concept store not to be missed! Find out more about opening times here. Get the look: Flag halyard chair, Flos floor lamp, source a Beni Ourain rug here, white linen duvet cover. 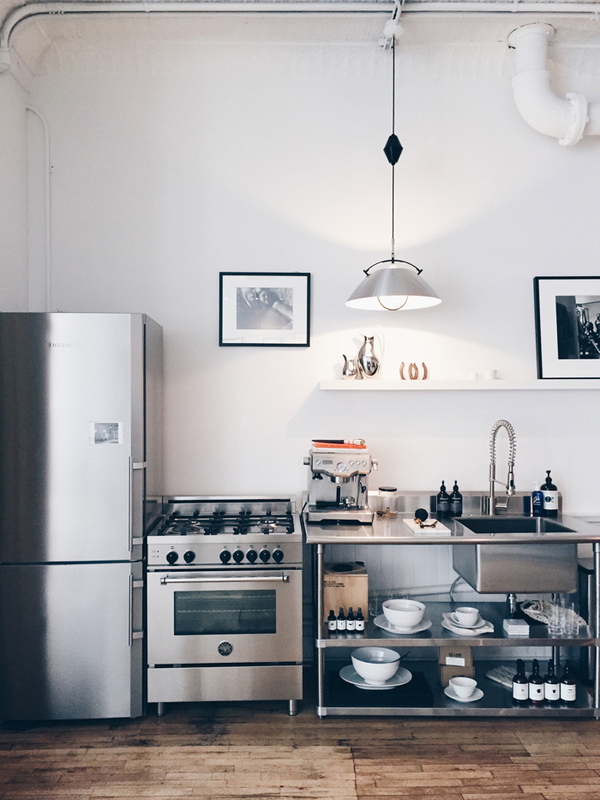 If you're not in New York anytime soon, there are a few other wonderful 'apartment' style concept stores dotted around including The Apartment, Copenhagen and The Loft in Holland. Such an inspiring way to shop, don't you think?! I can't believe it's the weekend already - where did the time go? I'm certainly not complaining though - as my girls and I are busy packing for a long weekend in Mallorca to visit my sister and nieces. I'm already dreaming of a cool glass of sangria! How about you - any fun plans? Have a fab one - and see you Monday! PS If you have time this weekend you must check out Katarina's instagram feed - so inspiring! My wife and I are discussing the option for a bath in our bedroom but I am sceptic about it. 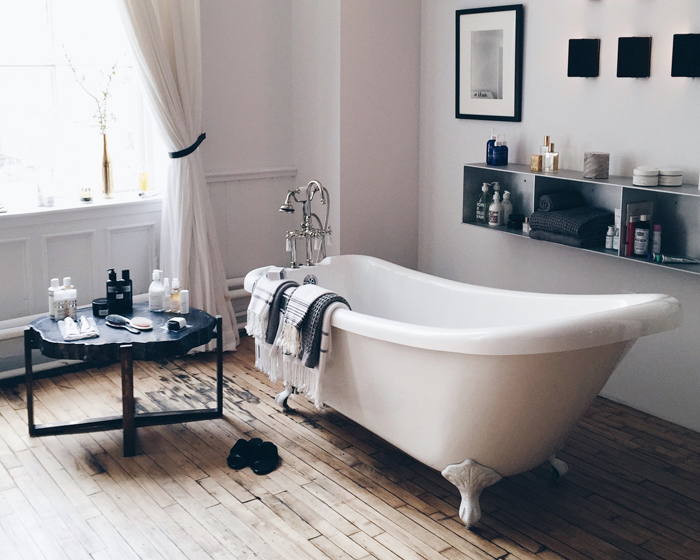 A beautiful freestanding bathtub may look really amazing in the bedroom, but I am wondering where do you store your toiletries? A small side table is one option or may be a bathtub with integral shelving. The bedroom is beautiful but not for me... the bath in our bedroom... i prefer the intimacy of the bathroom... what i'm lookinf for ... is a shower outside for the summer or a bath... but i live in the middle of the city ;)).... enjoy your long WE in Mallorca... Viva España! Viva! Cannot bear baths in bedrooms. I ONLY take showers and I shower like a marine, sitting in a hot bath makes me nervous!